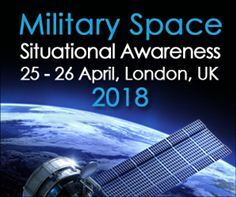 SMi Group's 13th annual Military Space Situational Awareness conference will commence in London on the 25th and 26th April 2018. In addition to chairing the event, Sqn Ldr (Ret'd) Dinsley will also be hosting a half-day pre-conference workshop on the 24th April on ‘Developing a Roadmap for Proportionate Space Regulation’. The workshop will be focused on how to deal with new security challenges that will arise as a result of an ever-increasing range of players entering the space domain, as well as the prospective governance frameworks and protocols applicable to the evolving space environment.